5 Smart Referral Selling Steps by John Golden - SalesPOP! Are you neglecting the crucial step of asking for a referral? There are a lot of crucial things to do in sales. But, are you missing out on one of the most crucial steps? Asking for referrals is key to getting more business, increasing your revenue, and growing your business. There are numerous benefits to asking for referrals, aside from getting the increased business. First, you get insight into if your current clients think you’re worthy of being referred or not. A client that refers to their friend or colleague means that they appreciated the work you did for them, and feel like you will bring value to others in their life. Additionally, if you get a referral, you are able to have that client voice your credibility and vouch for you that you will be the best salesperson for the job. Build: Have a great website, internal processes, and products! You can’t start something without a foundation. Reach out: Include trusted others in your outreach! The more people who can vouch for you, the better. Plus, you let others do the work for you by asking colleagues, friends, and family to pass your name around. Create the infrastructure: Add all of your contacts into your CRM. Make sure the software you choose is the best possible. 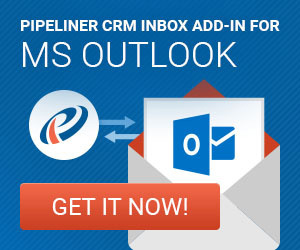 Check out Pipeliner CRM, and get a free trial to see if it’s the solution for you. Connect: As you build your business and create new connections, network with those connections! Use who you already know to generate more contacts. Learn: In the referral selling process, you grow to understand your brand and who you are as a salesperson. Want to learn more about sales referrals? SalesPOP! has tons of articles to help you get more informed. Check out Your Best Prospecting Tool is Literally Staring You in the Face, and How Can You Get More Qualified Sales Referrals?.